Building Today for a Better Tomorrow..!! 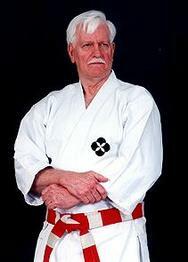 The USA JU-JITSU ® FOUNDATION within the USJJF is organized for and shall be operated exclusively for educational, cultural and charitable purposes relating to the ancient art and sport of Ju-Jitsu in the United States of America and abroad; in particular to carry out the purely educational, cultural and charitable activities of the USJJF. The educational, cultural and charitable activities of the Foundation relate principally to the ancient art and sport of Ju-Jitsu and include public educational and instructional programs involving research, publications, clinics, tournaments, the establishment of scholarships, the development of international cultural exchange programs and the training and certifications of Ju-Jitsu instructors and the training of top Ju-Jitsu competitors. g. Solicit funds from the general public, corporations and organizations in support of international Ju-Jitsu exchange programs and other activities of the Foundation. No part of the net earnings of the Foundation shall inure to the benefit of, or be distributable to its members, trustees, and officers, other private persons. No substantial part of the activities of the USJJF’s Foundation shall be the carrying on of propaganda, or otherwise attempting to influence legislation, and the Foundation shall not participate in, or intervene in (including the publishing or distribution of statements) any political campaign on behalf of any candidate for public office. Notwithstanding any other provision of these articles the Foundation shall not carry on any other activities not permitted to be carried on (a) by a corporation exempt from federal income tax under section 501 (c)(3) of the Internal Revenue Code, or corresponding section of any future federal tax code, or (b) by a corporation, contributions to which are deductible under section 170(c)(2) of the Internal Revenue Code, or corresponding section of any future federal tax code. The USJJF Board of Directors managing the USA Ju-Jitsu Foundation is responsible for the control and management of the business affairs of the Foundation, including the establishment of all programs, policies and operating procedures of the Foundation. No Board Member shall receive a salary or other compensation for services rendered as a trustee. However, a Board Member may receive reasonable expenses on behalf of the USJJF’s Foundation Program.